Possibly the most fabulous yarn ever, but then again, I say that to all the skeins! 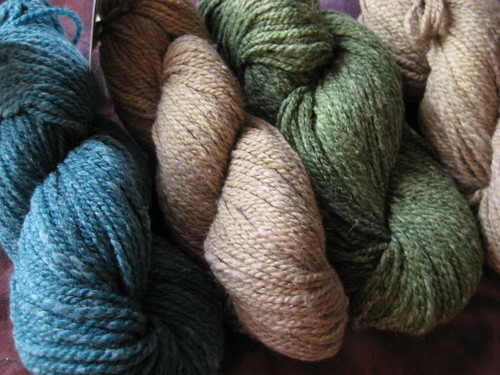 This is Savannah DK by the Fibre Company, and is composed of wool, cotton, soy, and linen. It’s not very stretchy, but the colours are just fabulous and it is sooooo soft. The plan? Road to Golden from the latest Knitscene. I love the Fibre Company! I could roll around in their yarn forever! Can’t wait to see this worked up! 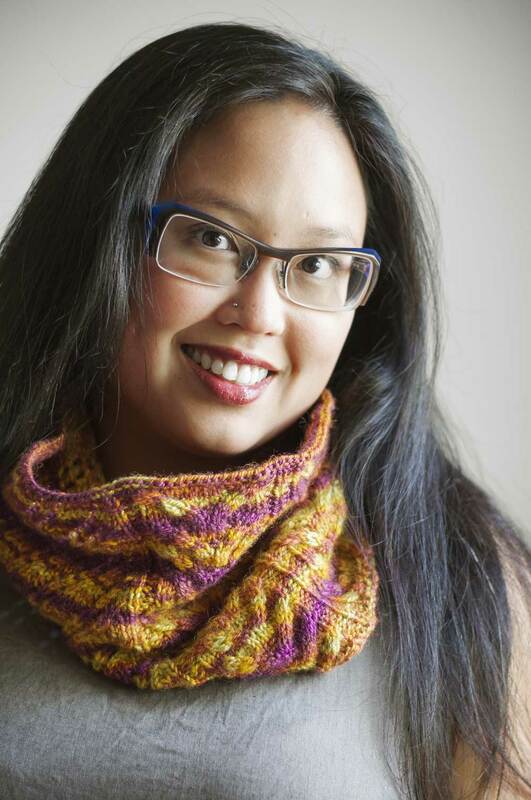 ooh…what a great project for this yarn, and great color choices too. the linen/soy content intrigues me. i’ll have to pick some of this up. Wow. I want some! Beautiful colours and yummy fibre combination. I would like to roll in the stuff, and then make myself a matching wardrobe.